Brasso Fundraiser at Kapiti Playhouse - Kapiti Playhouse Inc.
We’re very pleased to announce that Brasso and Friends will be playing at the Kapiti Playhouse Theatre on Saturday October 17th at 8pm. 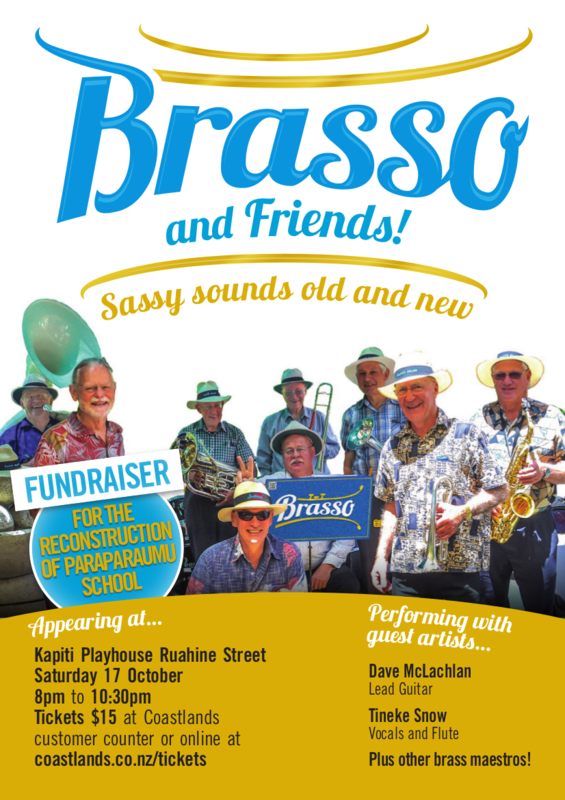 Brasso are running this as a fundraiser for the reconstruction of Paraparaumu School and so grabbing your ticket (for only $15!) will help a very worthy cause. Tickets are available at Coastlands TicketDirect Information Desk. Please ensure you book now to get your ticket and help ensure this show can go ahead!